Copyright © 2013 Evgeny V. Chensky. This is an open access article distributed under the Creative Commons Attribution License, which permits unrestricted use, distribution, and reproduction in any medium, provided the original work is properly cited. This paper represents model of oscillating universe theory. We try to realize model of both electromagnetic waves and spectrum of elementary particles from the unified point of view. Consideration of problems of the gravitational optics and dark matter is developing from the solid crystal model for the vacuum. The vacuum is represented as a three-dimensional crystal lattice matter with a very small lattice period, much less than 10−26 cm. The oscillators are located at the nodes of an infinite lattice. It is shown that an infinite set of equations to describe the coupled oscillations of moving oscillators converges to a system of twelve equations. We have obtained the combined equations for a multicomponent order parameter in the form of the electric and magnetic vacuum polarization, which defines the spectrum and symmetry of normal oscillations in the form of elementary particles. Two order parameters—a polar vector and an axial vector— had to be introduced as electrical and magnetic polarization, correspondingly, in order to describe dynamic properties of vacuum. Vacuum susceptibility has been determined to be equal to the fine structure constant a. 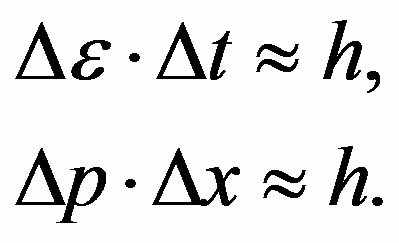 Unified interaction constant g for all particles equal to the double charge of Dirac monopole has been found (g = e/a, where e—electron charge). The fundamental vacuum constants are: g, a, parameters of length and parameters of time for electron and nucleon oscillations, correspondingly. 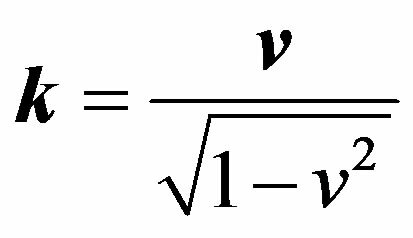 Energy of elementary particles has been expressed in terms of the fundamental vacuum parameters, light velocity being equal to . The term mass of particle has been shown to have no independent meaning. Particle energy does have physical sense as wave packet energy related to vacuum excitation. Exact equation for particle movement in the gravitational field has been derived, the equation being applied to any relatively compact object: planet, satellite, electron, proton, photon and neutrino. The situation has been examined according to the cosmological principle when galaxies are distributed around an infinite space. In this case the recession of galaxies is impossible, so the red shift of far galaxies’ radiation has to be interpreted as the blue time shift of atomic spectra; it follows that zero-energy, and consequently electron mass are being increased at the time. Since physical vacuum has existed eternally, vacuum parameters can be either constant, or oscillating with time. It is the time oscillation of the parameters that leads to the growth of electron mass within the last 15 billion years and that is displayed in the red shift; the proton mass being decreased that is displayed in planet radiation. During recent years the science about cosmology has been in rather difficult situation. On one hand, observations of star dynamics in galaxies and of galaxies in clasters show substantial deviation of rotation velocities from Kepler’s law; this proves the existence of additional matter (dark matter) which participates in gravitational interaction [1-3]. On the other hand, more careful examinations of the red shift in the nearer space at the distances of 105 - 107 light years as well as observation of supernova outburst [4,5] show that velocity of the Universe expansion increases with time, and this in turn requires introduction of additional dark energy with anti-gravitational properties. Thus, a contradiction arises. Practically, in one and the same point it is necessary to introduce both dark matter creating additional gravitational field and dark energy having anti-gravitation. Since there is no doubt about the facts above, their interpretation must be revised. At the present time there are two mutually exclusive points of view. First, despite very distinctive spatial nonhomogeneity of matter, observations show that at the distances of about 109 light years (cell of homogeneity) matter is distributed in the space quite homogeneously. Besides, the cosmological principle suggests that these homogeneous cells should cover the entire infinite space. Second, the red shift discovered by Hubble, which he interpreted as Doppler’s principle related to the galaxies expansion, made Friedman’s model of expanding Universe quite necessary. From Hubble’s empirical law that determines dependence of velocity of galaxies on the distance , we can suppose existence of a singularity at a certain time. Since velocity of expansion of the galaxies cannot exceed the light velocity , it follows from the relation , that there is quite a definite size of the Universe growing with time , here is the singularity offset counted from the present moment; Hubble’s constant equal to decreases with time; however, observations show, that the value H, on the contrary, increases with time. If we interpret the existence of a singularity as a Big Bang, we have to bear in mind that the explosion is a phase transition from a metastable state into another more stable state accompanied with release of energy. Before the phase transition, this energy is homogeneously distributed around the space. They sometimes say: explosion power is equivalent to e.g. one kilogram of trotyl; it is obvious that two kilograms of trotyl give off right twice as much energy as one kilogram does. Besides, the phase transition does not begin with the singularity but with the nucleation of a new phase whose size exceeds the critical radius. In this case energy is released in accordance with broadening the new phase at the expense of the phase edge motion. 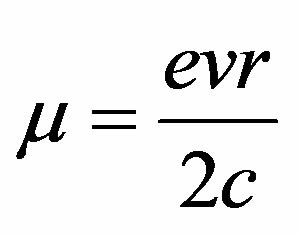 Since the average energy density of the entire matter in vacuum is approximately 0.008 erg/m3, this very energy should be released at the phase transition of each cubic meter of vacuum. It is difficult to imagine, however, that electrons and protons could be created out of this homogeneously distributed in space energy, and, besides, in exactly equal quantities. An explosion of a hydrogen bomb in vacuum can serve as a model of a hot Universe. The hydrogen bomb is a local object in a metastable state. There is a mixture of light and heavy nuclei under the temperature of several million degrees at the moment of detonation. 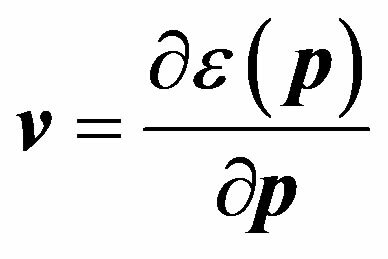 According to D’Alambert equation, the electromagnetic pulse and the neutrino pulse will start to disperse with the light velocity. Following electromagnetic pulse relativistic electrons will fly and then light, and heavy nuclei. In a second, the electromagnetic pulse will reach the Moon area and nothing will stay at the point of explosion. Thus, the examined case is also far from the Friedman’s model of expanding Universe. Here is an average density of matter. From Equation (1) we can see that it is not necessary to search for dark energy as the density is both the gravitating and the anti-gravitating matter in the form of and . Similar expressions can be used for determining gravitational potentials of planets, stars and galaxies in a form of the sum of the potentials of stars with their specific location. However, for the scales comparable with the size of homogeneity cell and bigger, we come to an obviously non-physical result: the potential in any arbitrary point depends on the radius of a sphere which we mentally specify out of the entire infinite space. Thus, any result depending on the mentally specified radius of the sphere, including the radius of the visible part of the Universe, is physically incorrect. 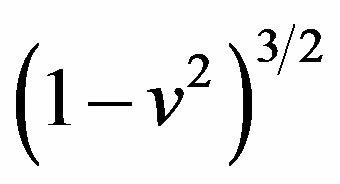 This corresponds to the condition when is a gravitational radius. Therefore, with the definite choice for R we may come to the conclusion that the Universe is a black hole, while, as it follows from the cosmological principle at the scales comparable with the radius of the visible part of the Universe, the gravitational potential has no specific features and its average value is zero. The same situation takes place when we consider the influence of a pressure on the dynamics of the expanding Universe. For instance, if we take a big vessel with a gas, mentally specify a sphere of radius R in it, and ignore the gas surrounding the sphere, we can state that the gas will broaden and get cool at the expense of the internal pressure. This may remind the model of the expanding Universe. Remember, however, that the specified sphere is surrounded with the same gas at the same pressure; that is why there will be neither broadening nor cooling. 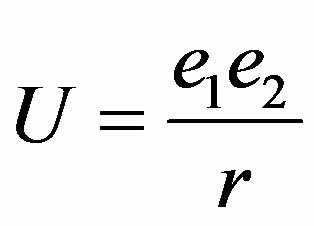 Thus, for the infinite Universe both an average gravitational potential and an average pressure are constant; besides, since the expanding dynamics is influenced by the equal to zero gradients of these variables, there cannot be neither expanding nor compression. An infinite system can only stratify according to the energy density and we really observe this stratification on giant scales from the value less than 10−9 erg/cm3 for an inter-galaxy space to the value over 1039 erg/cm3 for nuclear energy. Nevertheless, within the frames of the cosmological principle there is a problem, the so called photometric paradox. The thing is that at present time when stars and galaxies radiate light in the entire infinite space, we can introduce an average luminosity L of a unit volume, provided that the densities of a luminous flux intensity at the distance r from a single volume is equal to . 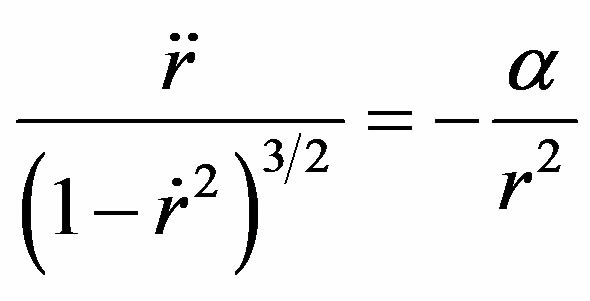 The integral over the sphere of radius R gives the total flux intensity equal to ; it follows that with R approaching infinity the flux intensity must approach infinity as well. Practically, however, we see rather a low sky luminosity. This is the photometric paradox. Both and are monotonously increasing functions. The latest observations of the flashes of far supernova [4,5] show temporal growth of H. It is senseless to explain this situation using space-time properties. Speaking about space-time properties is quite the same as judging about wine quality by the curvature of a bottle surface. Dilettantes are often attracted by the appearance of the vessel, while connoisseurs pay attention to its contents, conservation conditions, and temporal changes. We should regard space like a vessel with the only feature: its volume is infinite . Its internal properties are to be discussed. For electronic and nucleonic parts, we introduced the parameters of time , and length , that characterize the kinetic and gradient energy of the fields. Besides, we introduced a dimensionless parameter of an elastic coefficient s corresponding to the reciprocal susceptibility common to both modes. These are the latent parameters of vacuum and the available experimental data are sufficient to determine them. with the absolute time, homogeneous around the entire space . For lateral (transverse!) oscillations, the depolarizing field equals to zero. As a result, the frequencies for longitudinal and lateral oscillations are different. The problem, however, is that for linear homogeneous differential equations we may take into consideration both eigenfunctions and eigenvalues, while the amplitude of the eigenfunctions remains arbitrary. Suppose, an eigenfunction specifies the configuration of the excitation; though the excitation energy and pulse are the integrals of motion, and yet they can have arbitrary meanings. Nevertheless, in practice we can see that energy of any excitation has quite a definite meaning both for light quantum and for any elementary particle. Therefore, within the framework of homogeneous equations it is impossible to realize the origin and the physical meaning of the Planck constant. For linear systems, the amplitude of oscillations turns out to be quite definite under the external force; then we can express the solution by means of the Green function, which meets the homogeneous equation and has quite definite amplitude. Non-homogeneous equations are necessary for the following reasons. We know from the theory of many-body systems that, if a system consists of discrete particles, the correlation effects substantially decrease the ground state, and local states such as polarons can occur. Therefore, we pass to consideration of the ground state taking into account correlation effects. 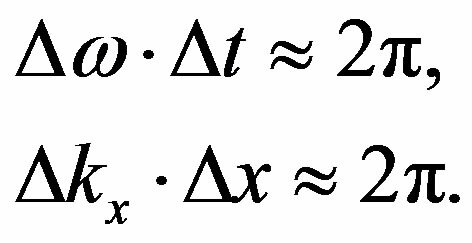 It is obvious from (23) that the induced charge density is the Green function for a point source that fulfills the homogeneous equation over the entire space except one point; but due to this point, the function acquires quite definite values over the entire space. The total polarization charge does not depend on the particle velocity that we can interpret as the law of conservation of charge. They only differ in the characteristic wavelength and . 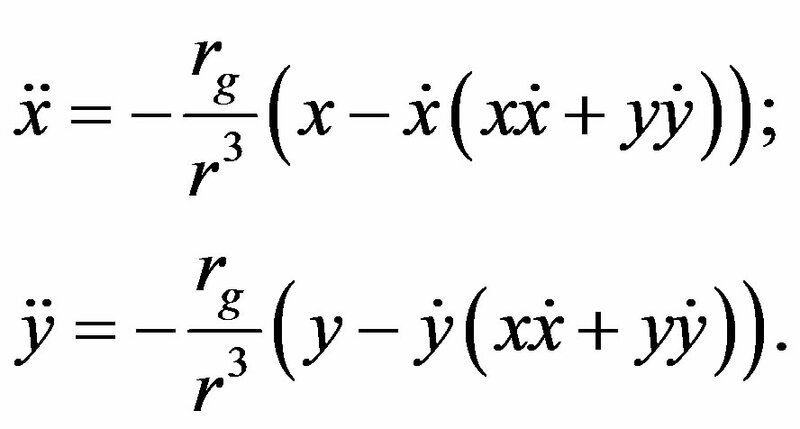 The main feature of the solution for the polarization (28) is an absence of divergence at a point r = 0 that leads to the finite value of the particle energy. 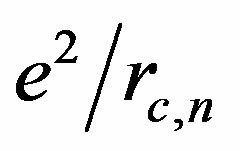 Non-homogeneous Equation (23) defines two parameters: the polarization charge q and the radius of a charge localization . By adding the definition of the fine structure constant to the latter equations, we obtain the equality . 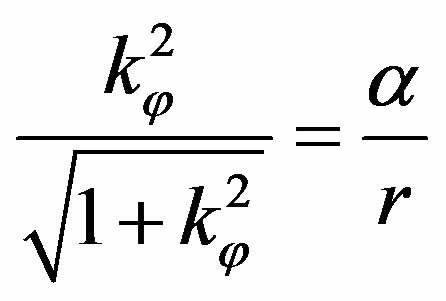 It follows that the vacuum polarizability equals to the fine structure constant , whereas the constant of the interaction of a point source with vacuum fields equals to the Dirac monopole charge . The characteristic feature of the solution above is that the electrical polarization for both electron and proton, covers the entire infinite space and oscillates synchronously with the frequency . The solution (33), however, contains a substantial disadvantage: such wave packet cannot move in space, it is a typical standing wave. Impossibility of motion is caused by the fact that the phase velocity of different harmonics changes from infinity to the light velocity c, whereas the group velocity changes from zero to c.
A similar property is natural for the solution of a onedimensional D’Alambert equation that fulfills the condition of deviation from a state of equilibrium for a flexible infinite string . A possibility of motion without changing the form is directly connected to a linear excitation spectrum in k-space . For twoand three-dimensional cases, the solution of the D’Alambert equation substantially differs from the one-dimensional one. An excitation generated in some point starts spreading (propagating) at velocity c in the form of concentrated circles for two-dimensional case, and in the form of concentrated spheres for the three-dimensional case. 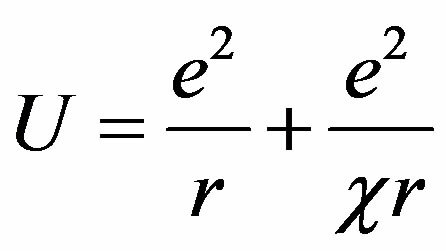 The propagation of radio waves strictly follows the three-dimensional D’Alambert equation, which proceeds from the Maxwell equations. Radio waves, however, are a multiquantum process. Nevertheless, a single quantum, while having wave properties, yet behaves like a particle. The thing is that a light quantum radiated by an excited atom at a distant star can cover million years without spreading dispersion. After colliding with a similar atom on the Earth, the light quantum transfers into a similar state of excitation. Therefore, there must be a solution of a soliton type for a light quantum in the form (34), which gives the origin of ray optics. Analysis shows that it is impossible to obtain such a spectrum in a three-dimensional isotropic space for one order parameter. Following strictly the terminology, we should consider electromagnetic oscillations as coupled oscillations of a two-component order parameter in the form of an electric and magnetic polarization of vacuum. This precisely corresponds to the experiment, as it is impossible to localize a light ray more than the light wavelength.
. In connection with this, we must change the concepts of mass and matter. Wave equations can only be applied to the material medium having definite dynamic properties, so the idea of physical vacuum means that the entire infinite space is filled with a definite matter. The particles that we observe—electrons, protons, photons—these are excitations of vacuum in the form of wave packets, which are eigenfunctions of the united system of twelve equations. From the point of view of wave mechanics, we can characterize a wave packet with energy, momentum, angular momentum and oscillation amplitude; specifically for the electric polarization, we define the amplitude by the electric charge. For a multi-component order parameter, the form or symmetry of oscillations is important. In this connection, the concept of a particle mass does not have independent meaning. Researchers introduced the values of mass and charge, as well as Planck constant for particles, in different periods of time and so far, they have considered these values as independent ones. As we showed above, charge quantization and existence of Planck constant are the consequences of correlation effects related to discreteness of physical vacuum. Now it makes sense to study the concept of mass for a wave packet. 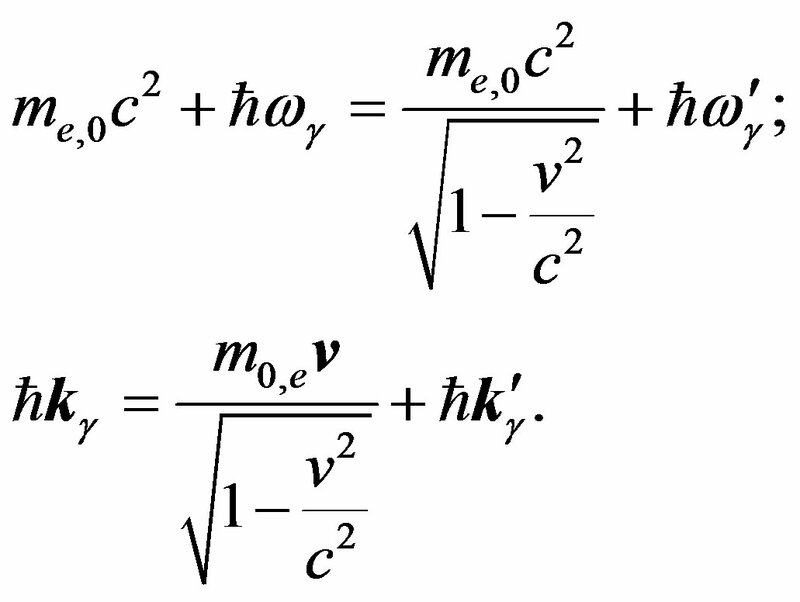 The expression for the particle mass follows from the latter Equation (46), the concept of mass being not necessary if we specify velocity in terms of light velocity. 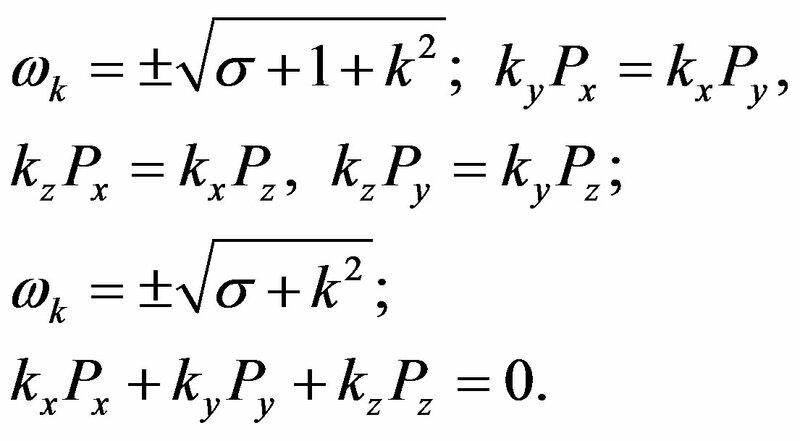 Here we have to consider k, the particle wave vector, as a quantum number independent of vacuum parameters. All the lengths contain neither Planck constant, nor mass, nor charge of electron. 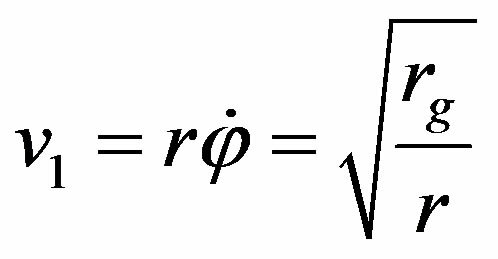 In this connection, it makes sense to express the Schrödinger equation through the natural parameters of physical vacuum. 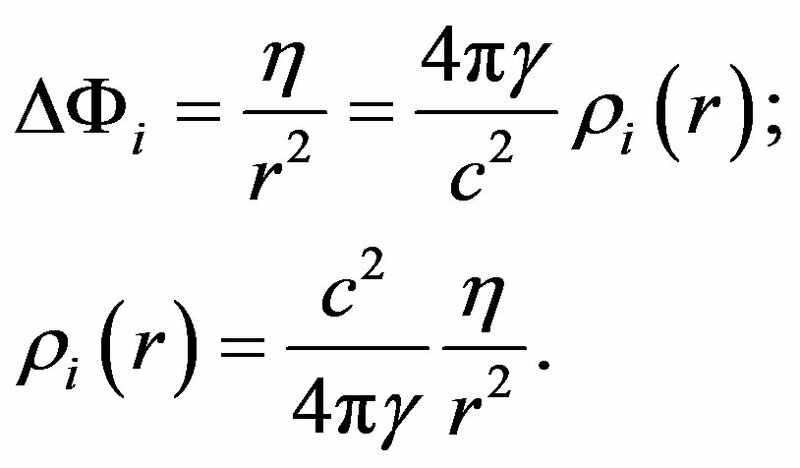 In this expression, we take the fundamental constants , which specify the characteristic parameters of a hydrogen atom (47, 48), as independent; however, as we demonstrated above, none of these constants ought to be taken as a fundamental one. That accurately corresponds to the relations (47, 48). It follows that the scattering characteristic is defined neither by the Planck constant nor by the electron mass, but by the space and frequency resonance for the wave packets; scattering being submitted to the same formula (55) with the Compton length equal to the correlation radius. Once in his days Planck supposed that radiation and absorption of light should proceed by quanta. Later this brilliant supposition was confirmed. After that, scientists had only to examine the properties of electron responsible for light radiation and absorption in a quantum way. Albert Einstein, however, considered something different. Since we can observe light quanta, then light is quantized due to existence of quantum of action; the question “Why?” being quite inappropriate here since physical mechanism for quantization of action just does not exist. We can only say that these are the properties of spacetime. We just substitute one senseless statement by another one. Nevertheless, proceeded from the fact that electron radiates and absorbs light per quanta, a planetary model of electron is suggested by itself. 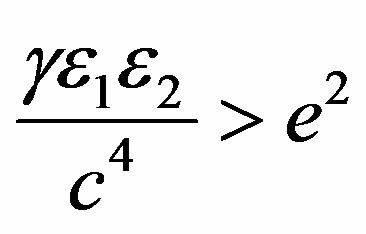 The electron rest energy equals to: . We can write quantum energy in a similar way: . Since the photon spin equals to , then, by representing it in the form of the orbital moment , we come to quite transparent cyclic conditions for the radius of photon orbit . After that, the photon energy reduces to the form: . 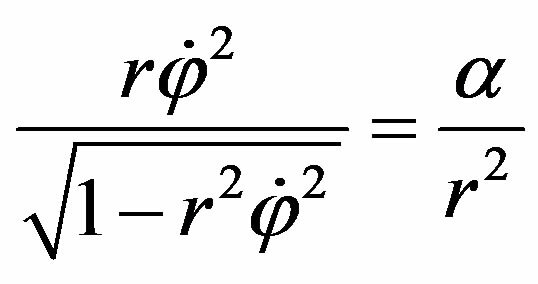 We can obtain such an energy as follows: use the solution for the electron polarization in the form (28), set it up into Hamiltonian (7) and integrate over space from infinity to the radius . Therefore, the nature of fields for photon and electron is the same. By radiating photon, an electron takes off some part of its polarization coat, the intrinsic energy of the electron being reduced. It follows, that particle inertia depends on the direction of motion. It is interesting to note that the intrinsic (internal) energetic properties of a particle are lost in the equation of motion (63). 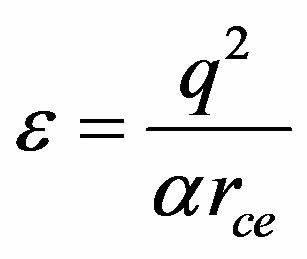 This means that we can apply the obtained equation to any relatively compact object. It can be a planet, a satellite, an electron, a proton, a photon, a neutrino—all the same. The value is the eccentricity of the Mercury elliptic orbit. Integral (79) is divergent at . It proceeds from the fact that at the gravitational radius a photon has a stationary orbit. For . it follows that the deviation of a light beam moving, for example, along the Sun surface is . The only stationary orbit for a photon is that corresponds to the parameter The slightest deviation from unit makes a photon either leave for infinity, or fall down to the centre. Figure 1 illustrates a photon getting off a stationary orbit. Figure 1. The paths of a photon at different initial conditions. Curve 1 exhibits the photon leaving for infinity at the input condition . Curve 2 shows the photon falling down to the centre at Arrow 3 displays the photon radially leaving for infinity from under the gravitational radius. we define the boundary of stability for circular orbits . 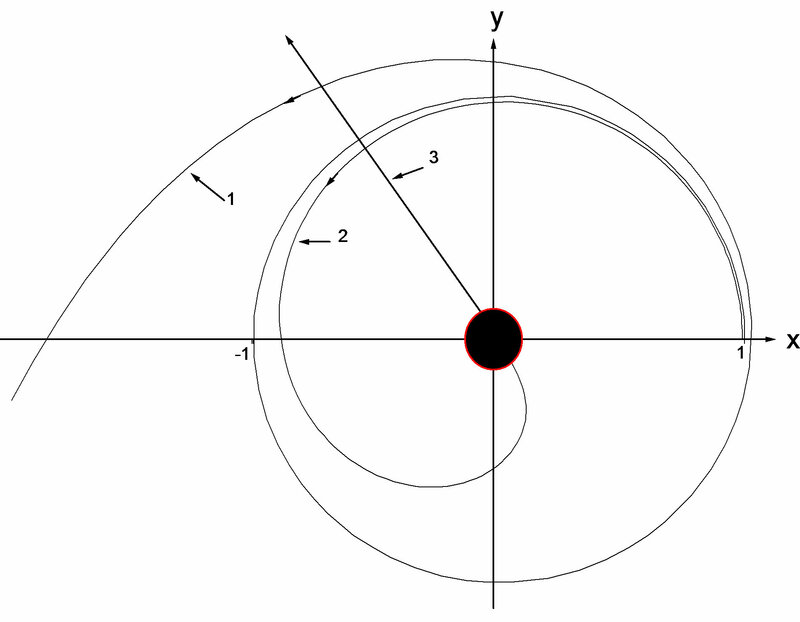 Circular orbits are only stable to small disturbances under the condition . This situation is described by the equation of motion (73) where we can consider the value of as a disturbance of a circular orbit. It follows from (73) that for any small value makes a particle leave for infinity along the path similar to that shown on Figure 1 (curve 1). Under the disturbance , a particle falls down to the centre and as well leaves for infinity along the curve similar to 2, 3 on Figure 1. Since all bodies in the Solar system obey the same equation of motion (66), we can measure time in terms of any periodical process that occurs in the Solar system; for example, in terms of revolution of the Earth around the Sun. Further, since we can calculate the periods of revolution for any bodies beforehand, time in the entire Solar system runs similarly. Moreover, we extend the time over the entire visible part of the Universe; and we are quite right when we measure time in billions of years, whereas we measure distance in billions of light years. Therefore, following Newton, we can repeat that a particle moves uniformly and straight until no force is applied. Following Galilee, we can say that under the same initial conditions in the gravitational field all particles move along the same paths. For example, under the same initial conditions an ultra relativistic proton moves in the same path as a photon does. However, Einstein’s statement that time runs differently in each lift does not have any physical meaning, since every electron covers the entire infinite space (33) and simultaneously interacts with all particles in the Universe. Thus, the distortion of the trajectory for a photon passing e.g. the Sun shows (demonstrates) the variation of its momentum; it follows from the law of the total momentum conservation that the momentum of the Sun changes by the same amount. We can make an obvious conclusion: if a photon is attracted to a massive body, then the massive body is attracted to the photon to the same extent. Therefore, photons, like any other particles, participate in the gravitational interaction, interaction intensity being proportional to the proper intrinsic energy of the particle: . The azimuth velocity of stars in galaxies is about 100 - 200 km/sec. That is why, the dark matter elements belonging to a certain galaxy at first sight may seem to have the same velocities. Hence, all relativistic particles, such as photons, neutrino, and cosmic rays, are beyond our consideration; as a result, practically none of the observed particles can create an additional gravitational field. In this connection an idea arises that there are heavy cold particles contributing only to the gravitational interaction; they are called dark matter. However, a possible alternative point of view exists. First, we examine a simple example. A charged ion of a hydrogen atom creates a Coulomb potential where localized states for an electron are formed. Filling up one of the localized states makes the hydrogen atom electrically neutral, as the nuclear field is completely screened by an electron. On the other hand, if we insert a proton into a metal where there is a sea of free electrons, the localized state does not occur, but this time the nuclear field is screened by free electrons. The trajectory of each electron is distorted near the nucleus so much, that, as a result, electron density increases exactly to the same extent and it screens the nuclear field completely. A positive charge interacts with all free electrons of metal in a Coulomb way and attracts them. Any heavy body attracts all free particles of a cosmic space by the gravitational interaction in a Coulomb way as well. Nevertheless, there is a significant difference between these two processes. Free electrons of metal are attracted to a positive charge, begin repulsive from each other, as a consequence, the electrical field of the positive charge is screened by electrons. The situation is quite opposite with the gravitational interaction. A massive body attracts particles from the surrounding space. Due to this attraction the total gravitational potential increases, thereby increasing the particle attraction even more. A positive feedback or antiscreening arises that can lead to the system instability. As an illustration, we examine the both situations: screening of an electrical field by free electrons in metal and antiscreening of a gravitational field by free particles (any) in cosmic space. We can express the induced charge through the polarizability of electrons in metal . For our Galaxy having the size of about light years and velocity of we obtain Mass of cool matter is estimated by value , therefore, mass of a relativistic matter is comparable with that of the cool one . 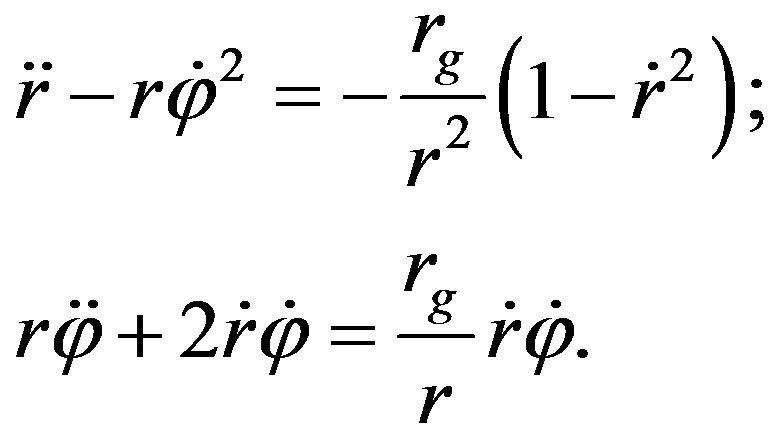 Thus, as a result of the trajectory distortion for relativistic particles, an additional nonhomogeneous distribution of relativistic matter occurs and, consequently, an additional gravitational potential as well. That is why, there is no need to search for a mystical dark matter; relativistic energy is quite sufficient to create an additional gravitational field. Moreover, emission of radiation by stars and galaxies as well as supernova outburst lead to the constant growth of relativistic energy in space. So, observations of the azimuth stellar motion both in galaxies and galaxies in clusters point to the existence of an additional gravitational field. Since azimuth and radial motion follows from the general equation of motion, for example in form (63), the radial motion is submitted to the same additional gravitational attraction; for this reason, there is no dark energy to create antigravitation [10,11]. Thus, if red shift is related to recession of galaxies, then a contradiction arises, because galaxies have to scatter with acceleration but, judging from the azimuth motion, this is impossible. The red shift indicates that the Hubble constant is a monotonically growing time function and at the present moment it equals to 2.5·10−18 sec−1. 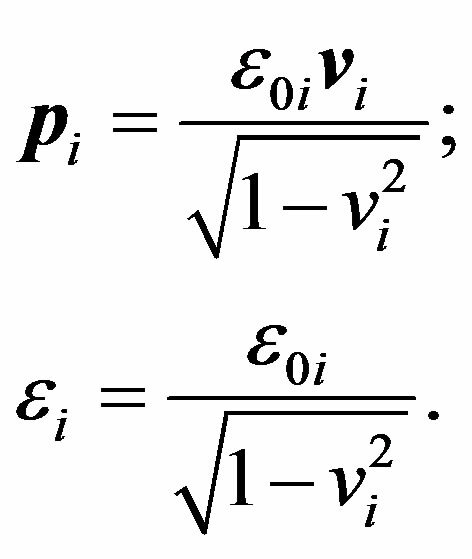 It can be seen from this expression, that the eigen frequencies of electron and proton vary practically with the same rate, with their values approaching each other. Let us present, for the illustration, a table of a specific luminosity of a number of objects (Table 1). Table 1 shows that the specific luminosity of the Sun is maximum, which is natural due to thermonuclear fusion. The specific luminosity of Jupiter and Saturn are the same, due to their similar composition of light atoms of hydrogen and helium. The specific luminosity of the Earth is much less than that of Jupiter. This can be attributed to the fact that the Earth is composed of heavier elements, and its nuclear energy is determined not only by the energy of the protons, but the binding energy between protons and neutrons. So, the red shift shows that the rest energy of the electron is growing with time, whereas emission of radiation by planets indicates that the rest energy of the proton is decreasing. The total change of the energy for the electron and proton is so great, that it leads to planet heating and emission of radiation. Table 1. A specific luminosity of a number of objects. electron and nuclear modes seem to be thought as constant values; however, we have to consider as time dependent the values, which are characteristic either for an electron mode only by , or for a nuclear one—by . At the present moment electron and nuclear frequencies are moving towards each other. Thus, the considerations above allow attaching a physical sense to the Planck length, which defines the most probable value for the lattice constant of physical vacuum; here specifies the edge of the Brillouin zone in — space, and —the width of the allowed energy region. In presented paper we try to consider problems of the gravitational optics and dark matter developing from the crystal model for the vacuum. The vacuum is represented as a three-dimensional crystal lattice matter with a very small lattice period, much less than 10−26 cm. The oscillators are located at the nodes of an infinite lattice. It is shown that an infinite set of equations to describe the coupled oscillations of moving oscillators converges to a system of twelve equations. We have obtained the combined equations for a multicomponent order parameter in the form of the electric and magnetic vacuum polarization, which defines the spectrum and symmetry of normal oscillations in the form of elementary particles. Thus, our model for vacuum is represented as a material medium in which dynamical properties of the crystal specify the spectrum of elementary particles. As we can see from the consideration presented above, the new theory allows describing with a single point of view both the electromagnetic waves and the spectrum of elementary particles as well. Namely we come to a unified field theory. We have obtained the combined equations for a multicomponent order parameter in the form of the electric and magnetic vacuum polarization, which defines the spectrum and symmetry of normal oscillations in the form of elementary particles. We have restored the fundamental parameters of physical vacuum, such as: susceptibility for the electric and magnetic polarization (equal to the constant of fine structure), parameters of length and time for the electron and nuclear branches of the oscillations, correspondingly. 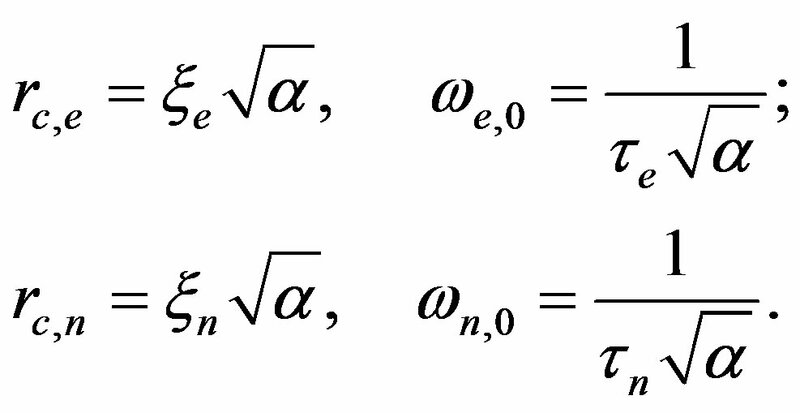 We have shown that the charge quantization is directly connected to discreteness of vacuum consisting of particles with the interaction constant equal to the double charge of a Dirac monopole. Elementary particles are excitations of vacuum in a form of wave packets of a soliton type. 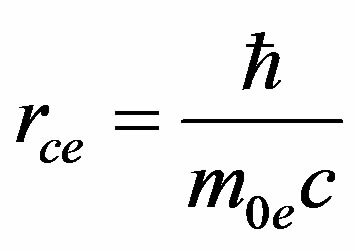 We have obtained an exact equation of motion for a particle in a gravitational field. Energy defines both gravitational interaction and particle inertia, inertia being of an anisotropic value; that is why the statement, that the inertial and gravitational masses are equivalent, is not correct. We have examined the situation when galaxies are distributed over the entire infinite space according to the cosmological principle. In this case recession of galaxies is impossible; thereforethe red shift of radiation emitted by far galaxies must be interpreted as the blue time shift of atomic spectra. As a consequence, it follows that both rest energy and mass of electron are increasing now. Since physical vacuum exists eternally, vacuum parameters can be either constant or oscillating with time. These are time oscillations of and which have caused electron mass growth within recent 15 billion years, inducing red shift; on the contrary, proton mass decreases, responsible for emission of radiation by planets. F. Zwicky, “Die Rotverschiebung von Extragalaktischen Nebeln,” Helvetica Physica Acta, Vol. 6, 1933, pp. 110-127. J. A. Tyson, F. Valdes, J. F. Jarvis and A. P. Mills Jr., “Galaxy Mass Distribution from Gravitational Light Deflection,” Astrophysical Journal, Vol. 281, 1984, pp. L59- L62. E. Q. Milne, “A Newtonian Expending Universe,” Quarterly Journal of Mathematics, Vol. 5, No. 1, 1934, pp. 64-72. D. Pines, “Elementary Excitations in Solid,” W. A. Bejamin, New York, Amsterdam, 1963. In the study presented in the paper above and in , an attempt is made to create a non-local field theory to describe elementary particles, which should be taken as the elementary excitations of a particular environment, which is the physical vacuum. Since the discovery of the possibility of creation of particles and anti-particles in the vacuum, it became apparent that the vacuum is not empty space, but the environment with specific dynamic properties. It follows from this that there must be an absolute coordinate system tied to the medium (which is the model of vacuum as the three-dimensional rigid crystal lattice structure) in which the photons as excitations of the medium, propagate with the speed of light. So Einstein’s postulate that there is no absolute coordinate system is flawed. Therefore, the second postulate of Einstein’s that the “speed of light is independent of the source,” is wrong. 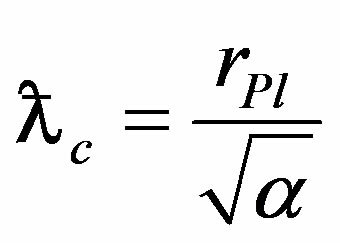 This situation occurs precisely when the signal is the excitation of the medium, the dynamic properties of which determine the speed. For instance, the speed of sound radiated by the flying aircraft, is not dependent on the aircraft speed . Notice that the relative velocity of the wave front emitted forward, is equal , and for the wave radiated back, the relative velocity is . 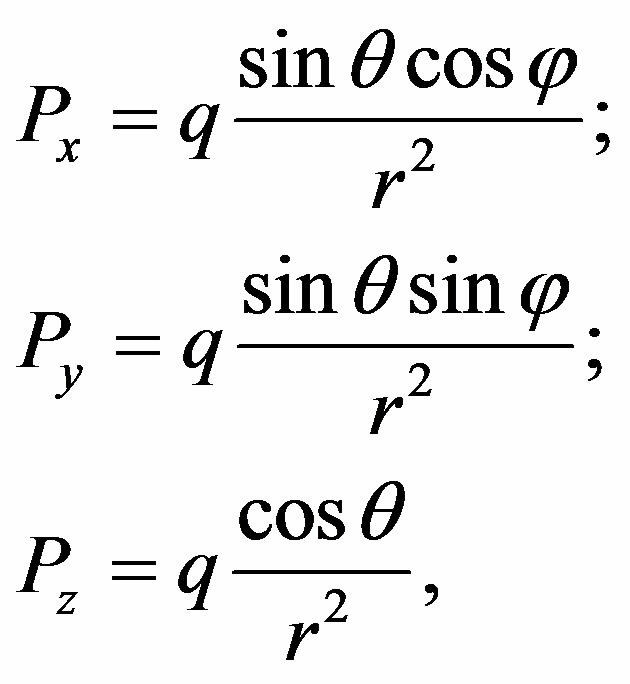 Mathematical equations have the property that if two physical processes are subject to the same equation, the solutions of this equation after renormalizetion of parameters apply to both the first and to the second physical processes. The main feature of any oscillatory process is the existence of equilibrium points, deviation from which induces an oscillatory process. Actually, these points of balance represent the absolute coordinate system in which the excitations, such as photons, travel at the speed of light. Therefore, the following postulate of Einstein “the speed of light in any inertial frame is the same”, contradicts the previous postulate. It should be noted that the Lorentz transformations have appeared before the theory of relativity, and they have brought out to explain the negative result of the Michelson experiments for the coordinate system associated with the Earth, which moves relative to the absolute coordinate system tied to the physical vacuum. 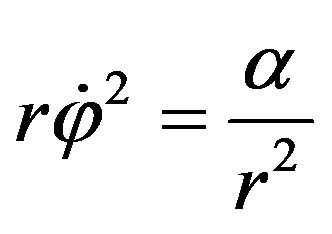 In the present work it is shown that the electron cloud of the charge moving relative to the absolute coordinate system is indeed deformed in strict accordance with the Lorentz transformations. which is included in the Maxwell equations. However, this is nothing more than a definition for the average density of a set of point charges. From (6) it does not follow neither the character of the Coulomb interaction, nor the interaction energy. Actually we use expressions (3) - (5), from which, after summing over all the charges we obtain both the electric field configuration and the interaction energy. In the study of any dynamical system, is necessary first of all to determine the order parameter and its conjugate force. 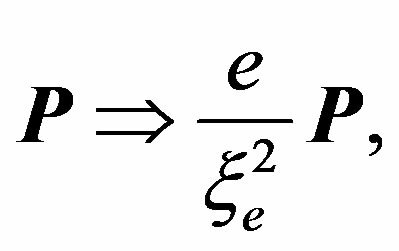 For example, in the theory of elasticity the strain tensor is the order parameter and its conjugate force is called the stress tensor. In equilibrium, the strain tensor is related to the stress tensor, as a result of the total energy can be expressed either through the strain tensor, or through the stress tensor with help of the coefficient of elasticity. In dynamic processes, the equation of motion can be written only for the strain tensor (the order parameter), and the stress tensor is decomposed into its own force, returning the system to the equilibrium, and the external force, being determined by the external conditions. 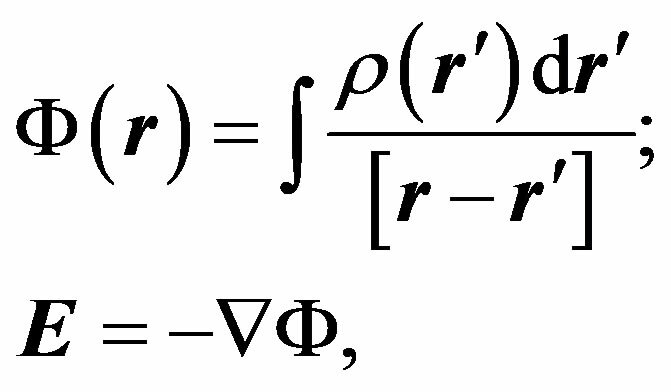 The equation of motion for the stress tensor cannot be written. In electrodynamics, the electric and magnetic fields determine the force field, so this field Maxwell called the stress tensor. By introducing the force field, the force itself cannot exist on its own, because the force has to be applied to something, as the action equals reaction. 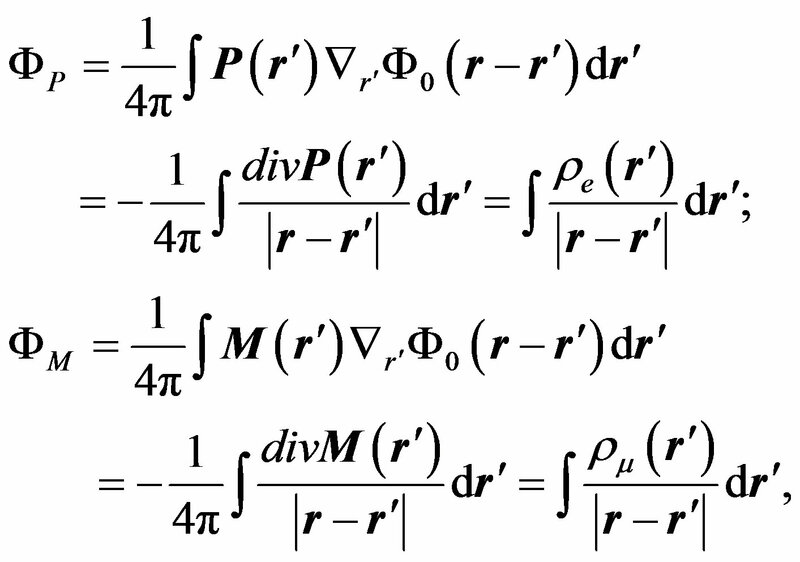 Therefore, it is first necessary to determine the order parameters associated with these forces. There is not arbitrariness here. If the electric field is generated by the electric charge, then the electric charge in an electrically neutral environment can only be generated by the electric polarization. In (“The Classical Theory of Fields” by L. D. Landau and E. M. Lifshitz, A Course of Theoretical Physics, Pergamon Press, Vol. 2, 1971) it is stated that that classical electrodynamics is internally inconsistent. For example, the theory of relativity requires that the charge of the electron was a point-like, but the point charge has an infinite energy. Obviously, it is necessary to reject the requirements of the theory of relativity, since the charge cannot be point-like. The equation of motion for the force field cannot written, as if we introduce an additional force, then effects of self-interaction would lead to the internal contradictions. Thus, the equations of motion for the electromagnetic wave can be expressed only by the order parameters in the form of the electric and magnetic polarization, but not by the both force fields, electric and magnetic fields. On the other hand, quantum mechanics implies that the free electron—is the plane wave, which is also false, since the electron charge—is a localized formation. Therefore, from the viewpoint of wave mechanics elementary particles have to be considered as stable wave packets with a well-defined spatial distribution. The first term determines the energy of the electric field, and the second term—the energy of the vacuum polarization, and the quantity characterizes the dielectric susceptibility of the vacuum. where characterizes a localization of the charge . The last expression shows that under the condition the energy associated with the polarization becomes greater than the energy of the electric field. Comparing the second term in (15) with (12) and (13) for the energy of the electron and the proton, respectively, we see that these expressions are consistent, if we assume that the polarizability of the vacuum is the fine structure constant: . Thus, the energy of the electric field is 137 times less than the energy associated with the polarization of the vacuum. Dirac has raised the question of the need to understand the physical meaning of the fine structure constant. In this paper we show that the fine structure constant is a fundamental characteristic and determines the susceptibility of the vacuum. which are reflecting the inertia and the wave properties of the electron. so it can be seen that the acceleration in the direction perpendicular to the velocity is proportional to the square of . In this case, the particle inertia is proportional to the energy. 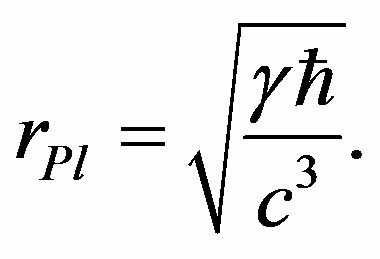 However, in the direction along velocity , the acceleration is proportional to the factor , which implies that the inertia is growing faster in the direction of motion than in the perpendicular direction. 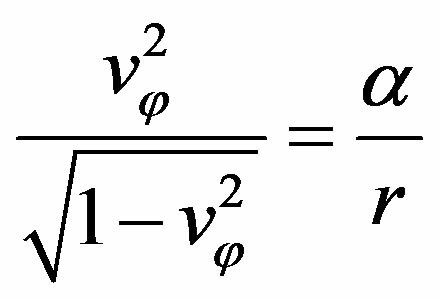 Thus, the inertia of the particles (inertial mass) is the magnitude of the anisotropic, while the gravitational mass (energy divided by ) is a scalar quantity. Such a monstrous conglomeration of symbols in the expression (49) shows an absolute lack of understanding of the nature of the wave processes that occur in the hydrogen atom, and more over the wave processes within the electron itself. Here reflects the amplitude of the oscillations of the electron fields, and —is the spatial configuration of the electron charge, а —the constant interaction between point particles of the crystal (physical) vacuum. And these relations for photon and electron have completely different physical meanings. Consider a simple example. If we connect the antenna to the generator of electrical oscillations with frequency ω for a time interval T, then this will result in the radiation of a wave packet of length L = сТ. Now, in order to study the frequency spectrum of the wave packet, by using a narrowband receiver, we see that the frequencies will be distributed in a certain range , with the value determined by the relationship: . Accordingly, since , the uncertainty of the wave vector is determined by the relationship , which implies that the creation of a strictly monochromatic wave requires infinite time. Of course, the total energy and total momentum of the wave packet, as integrals of motion are well defined, and cannot have any relation to the uncertainty relation (43). The same applies to photons. During atomic transition from the excited state to the ground, to create a photon as a wave packet with a length it takes some time. Because the radiation time is limited by the lifetime of the excited state, then at the passage of photons through a diffraction grating, we see broadening of the lines. All of the diffraction pattern is determined by three parameters: the period of the grating , wavelength of the quantum , and the length of the wave packet of photon . In this case, the Planck constant has nothing to do to the diffraction pattern. Moreover, the energy is a constant of motion and it cannot be uncertain, in principle. Considering the g— ray quantum structure as a thin filament of length , it becomes clear the quantization condition for the angular momentum . At —ray quantum capturing by an electron—the orbit length should be equal to the wavelength so that each subsequent wave cycle would be in phase with the previous one— , which implies the condition: , and thus the value of the orbital angular momentum . Thus it becomes clear condition of quantization of the angular momentum. The solution (54) is realized for any wave process. For example, if a guitar string is fixed at points at a distance , then it results in a wave vector quantization according to (55), with frequencies , where the signal propagation velocity along the string, depending on the tension of the string. Any player knows that the frequency of the string vibrations depends on the tension of a string and distance between the fixing points of the string. The same situation arises in the piezoelectric resonator having a thickness , its vibrations may be given in the form (54) with the frequencies , where —the sound velocity in the piezoelectric. Thus, the restriction of the signal in time leads to the frequency uncertainties and restriction of vibrations in space leads to the quantization of the wave vector and the vibrations with the well-defined frequencies. Therefore piezoelectric resonators are used, for example, to stabilize the operation of an electronic clock. A characteristic feature of linear vibration systems is that the frequency does not depend on the amplitude, therefore the secular equation determining the spectrum of normal oscillations, does not contain the amplitude at all. And the energy of each normal vibration is proportional to , where depends only on the initial conditions. with the eigenvalues equal to zero. which implies that the Planck constant is directly related to the charge of the electron and reflects the polarization and dynamic properties of the vacuum fields, however, is by no means a universal fundamental constant. Vacuum fundamental constants are . Charge, mass, energy and momentum of electron and proton, and the Planck constant are indeed expressed in terms of the fundamental parameters of vacuum, but it does not follow from this that if we take an arbitrary scalar field (for example, photon field) in the form , then the momentum can be quantized and then proceed to the quantum field theory. There is no physical meaning to this. it follows then that . 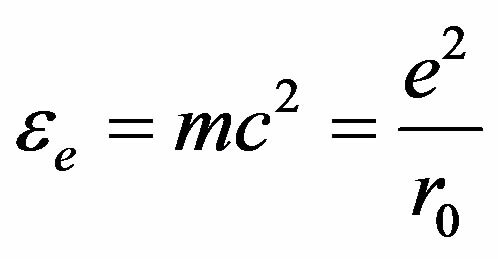 Thus, as conjectured by Planck, electron emits and absorbs light by quanta, but it does not follow from this that light is quantized, moreover, that any field is quantized, as stated by Einstein. But it is connected only specific field of the electron energy distribution in space. We see that the magnetic moment of the electron charge is related to the rotation of the charge in a circular orbit with the speed of light with a size equal to the correlation radius . Consequently, the emergence of the electron spin associated with the movement of fields in a circular orbit. Closer examination shows that the charge rotates in the orbit with a radius which leads to the spin of . The magnetic moment in this case is two times greater than that given by the formula (66). This means that the magnetic moment of the electron consists of two components: a magnetic moment associated with the motion of the charge and the magnetic moment associated with the magnetization of vacuum. For massive body can be considered that the velocities of all particles are the same and then . Despite the fact that (72), (73), (75) have a relativistic view, speed in them has a different physical meaning and is defined as the velocity relative to the absolute coordinate system tied to the medium—physical vacuum which presented as the model of the three-dimensional rigid crystal lattice structure.